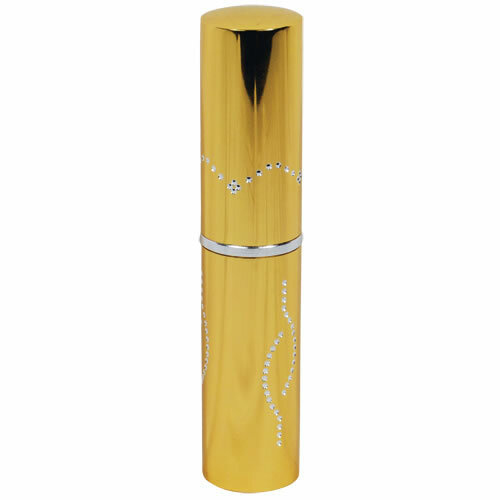 Looks just like a tube of lipstick but is actually a powerful stun gun taser that is ready to defend and protect at a moment's notice. Are you looking for something small and discreet that packs a punch? 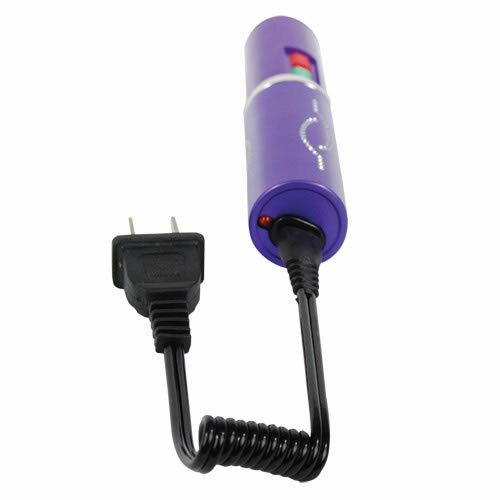 The Rechargeable Stun Master has 3 million volts, a flashlight, and disguises itself as an average, ordinary, tiny tube of lipstick. Not only is it portable and easy to carry in your pocket, purse, or any other accessory, but it's the smallest and most convenient taser we have. Even your friends will think it's a normal tube of lipstick. An attacker won’t know the difference until he feels the 3 million volts coursing through his body. Some tasers are bulky, difficult to stow away, and quickly raise suspicion. That's not the case with the lipstick stun gun. This taser is tiny, measuring only 5"x1". You'll find many lipstick tubes that are the exact same size, so it won't stand out as weird or peculiar when you are carrying it around. Not only is the size perfect, but this disguise allows you to gain the edge on an attacker, whether it's a stranger or a date that's getting a little too pushy and won't take no for an answer. They won't know what hit them until they wake back up. Using the lipstick taser is simple. If you can push a button, then you can use the taser. There are two buttons here and they have been color-coded for convenience. One of them activates the flashlight. This can help you find something in the dark, or it can temporarily blind your assailant. The element of surprise is crucial here because they won't be expecting the bright light. The second button is what unleashes the 3 million volts. Touch the button, push it into the attacker, and he'll feel the pain instantly. It's important that you familiarize yourself with the buttons as soon as you get the taser. This will help you identify which one does what while also reducing any nervousness you might have about using the taser when the need arises. Get familiar with the buttons, how hard you must push them, and where to place your fingers. It should only take a few minutes until you feel comfortable. While you could use conventional batteries and change them as needed, we have a better solution. 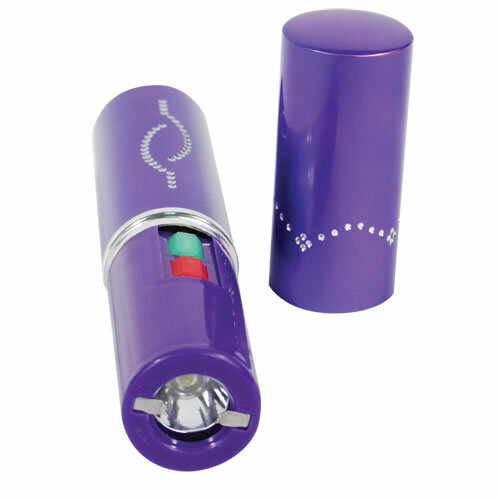 The lipstick taser has a built-in rechargeable battery. You'll never need to change it and charging it is easy. Connect the included charger cord into a wall outlet and wait until it's finished. The battery will last a couple of months (unless used on an attacker) before needing a recharge. This is a great gift for your daughter, mother, niece, cousin or friend. The unfortunate truth is that sexual assault crimes are prevalent on college campuses and any social areas. You need to be ready to protect yourself at a moment's notice. When someone is getting too close and is trying to hurt you, this little taser is exactly what you need. The taser works great in close quarters where you need something small and concealable to use. It'll give them the shock of their lives while buying you the time you need to make a fast getaway. Don't waste time once you've stunned the attacker. Get as much distance as you can between him and you. Be sure to get help. Report the attack to campus authorities or police officers. Make sure the authorities know so that they can arrest the person and make a report of the attack. Not only are you protecting yourself, but you may also prevent a future attack against someone else. It's not only women who need protection. Men need to be on guard as well. While we've highlighted sexual assault, sometimes an attacker wants to mug you or cause some damage for fun. What's fun for them can be painful for you. While men have some extra physical strength to help balance the fight in their favor, women usually need a little something extra to guard themselves. That's where the taser comes in. It's the perfect weapon against assailants no matter what their intent is. Women around the world trust stun guns of all shapes and sizes. Not only do they pack a massive punch, 3 million volts in this case, but they are easy to conceal and tuck away in pockets, handbags or other accessories. You can always have it with you and no one will know it's there. The element of surprise helps in any fight as it buys you precious seconds that you'll need to turn the tide in your favor. That's why stun guns are so trusted. They work and they don't raise suspicion until the moment they're used. Now we've talked about practical and safety features, here's one that's purely aesthetic: there are several different colors you can choose from. 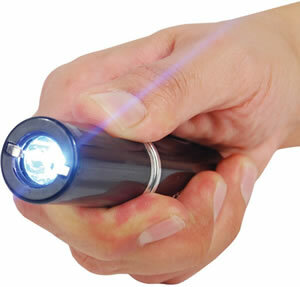 This stun gun comes in black, pink, purple, gold and red. 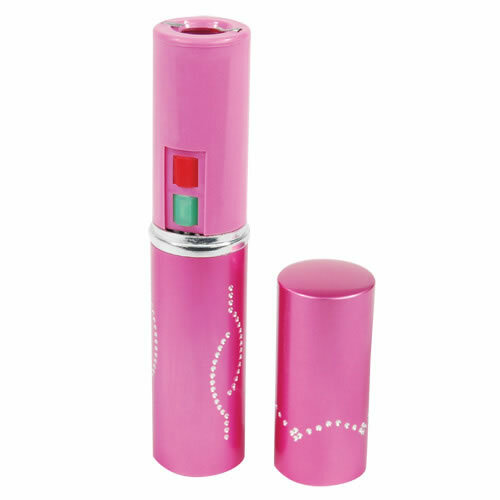 All of them feature little sparkly stones on the sides that makes this look like a designer tube of lipstick. It won't stand out at all, and you can even match your other accessories around it. You never know when an attack will happen, so it's best to prepare yourself before the event happens. 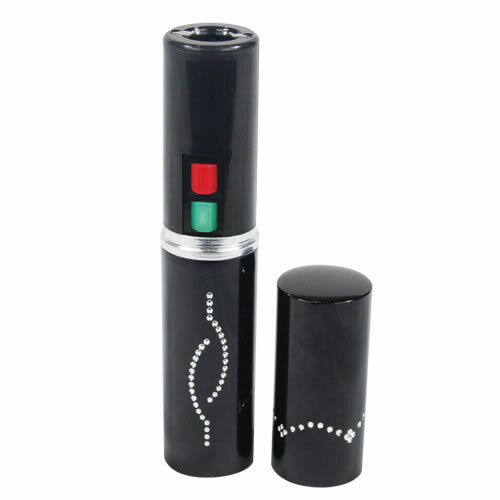 Nothing is as easy to conceal or use as this lipstick stun gun. With a small design and only two buttons, you'll have no problem using this when the need arises. Before ordering, please be sure to check your state's laws to ensure we can ship the taser to your area. You'll have the protection you need at a moment's notice. Perfect size for carrying while walking or biking. Love the case and the secure feeling of having it near. It's the perfect size for my small hands and my purse. And even though its small it sure does sound scary when you turn it on! Arrived very fast, only a few days. I feel much more secure with this than I did with my old pepper spray. The disable pin is also an awesome feature, although kind of annoying to have to dig to find the wrist strap in my purse. I am still very pleased! I purchased two of these for my daughters, and they are marvellous. I feel more at ease when they are out late knowing they have a little protection. I would recommend these for any woman. They fit Into your purse too!